One of the Korean biggest credit card company, Shinhan Card has announced its first ever USB type credit card in Korea. 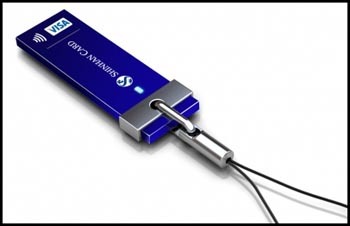 As its name implied, this USB stick is a credit card which has no need to key in any PIN number or details of your credit card during the online payment. What you need to do is just simply insert it into an USB port on your computer/notebook. Anyway, the cool and innovative USB credit card isn’t just designed for online purchases but also performs as a contactless credit card for no-touch payment thanks to its built-in IC chip. Hope that this USB credit card will be spreading around the world as soon as possible.